The tour highlighted the collaboration among operators, hoteliers, airlines and the destination for the promotion and positioning of the Riviera Nayarit in Colombia. During the event, the destination specialists trained 370 travel agents and held a press conference for 30 travel media representatives. The Riviera Nayarit promotional tour in Colombia was a resounding success. 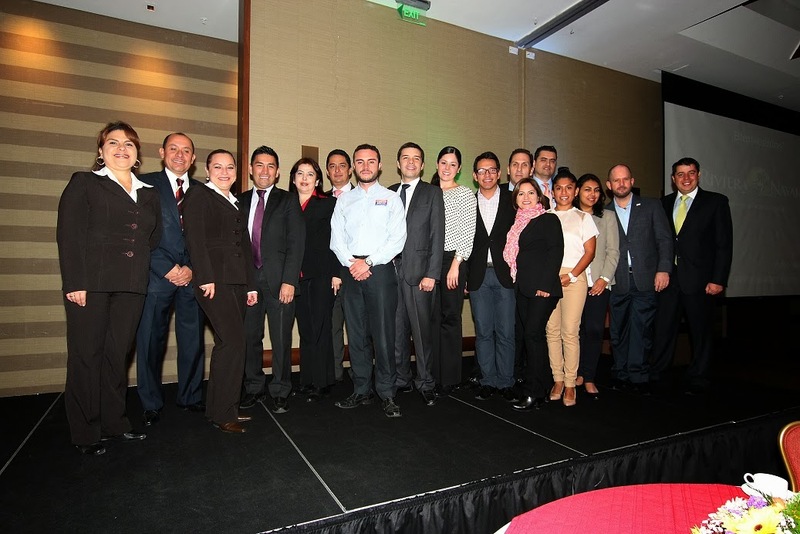 It took place from November 26-28, 2013, in the cities of Medellin, Cali and Bogota, where the destination’s specialists met and trained 370 travel agents in the three cities and held a press conference for 30 travel industry media reps. The Riviera Nayarit Convention and Visitors Bureau (CVB) and the destination’s hotels came to Colombia seeking to position the destination, a goal that doubtlessly was achieved. Marc Murphy, Managing Director for the Riviera Nayarit CVB, stated the destination itself stood out during every presentation thanks to its luxurious man-made and natural attractions. The presentation consisted of audiovisual exhibits in order to heighten the experience. This group of wholesalers told the Riviera Nayarit CVB that their clients knew the traditional beach destinations quite well, so they were looking for an alternative on the Mexican Pacific. On the first day of the event, the group held a lunch in Medellin for 80 agents, followed by Cali, where a second event catered to 90 agents who had a chance to explore the wonders of Mexico’s Pacific Treasure. The tour ended in Bogota, where a workshop was held for 120 travel agents. This was also the site of the press conference held for representatives from 30 travel industry media outlets. A cocktail was also held on the last evening, which celebrated the alliance among the operators, hoteliers and the destination to promote and position the Riviera Nayarit in Colombia. This bond was confirmed by the presence of important media outlets and executives from Colombian travel agencies, as well as the attendance of Chancellor David Simon from the Mexican Embassy in Colombia. Before the team left they held call-center trainings at the offices of operators Travel Depot, Pelícanos, Cielos Abiertos and Nómodas, helping 80 agents to become specialists in the destination. “In the medium term we expect to see an increase in visits from this market and we hope to generate sufficient demand for the country’s airline, Avianca, to become interested in commencing a flight from Bogota to Vallarta-Nayarit’s Díaz Ordaz Airport,” stated Murphy in closing.